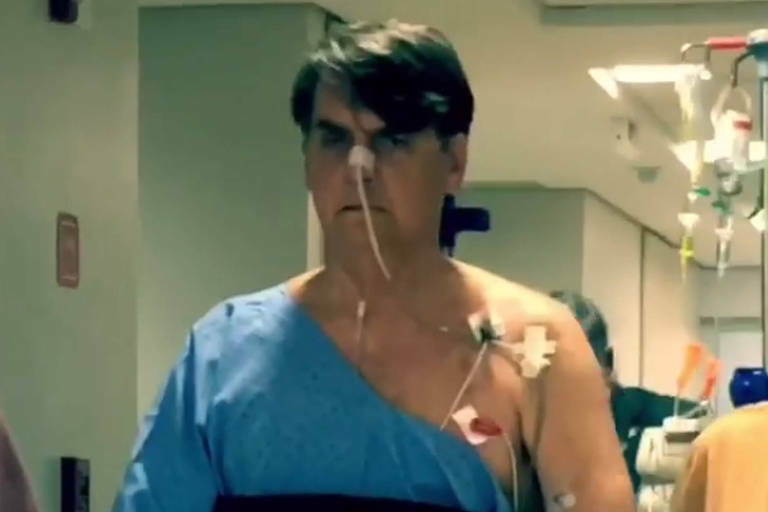 On the 11th day of his hospitalization following surgery to remove a colostomy bag, president Jair Bolsonaro had a fever again on Wednesday evening (6th), and further exams showed he has pneumonia. His medical team says that there is no set date to discharge the president, and visits are restricted to family members. Antonio Luiz Macedo, one of the president's doctors, told Folha that the new round of antibiotics to treat pneumonia would keep Bolsonaro at least seven more days. The president's medical team had initially predicted that the president would be discharged ten days after the surgical procedure. Pneumonia and other previous issues will keep him for at least 18 days. The pneumonia diagnosis took Bolsonaro to social media to reassure his followers. He shared a video in which his spokesman discussed the president's health and wrote: "Beware of sensationalism. We are calm, well and we keep on going."